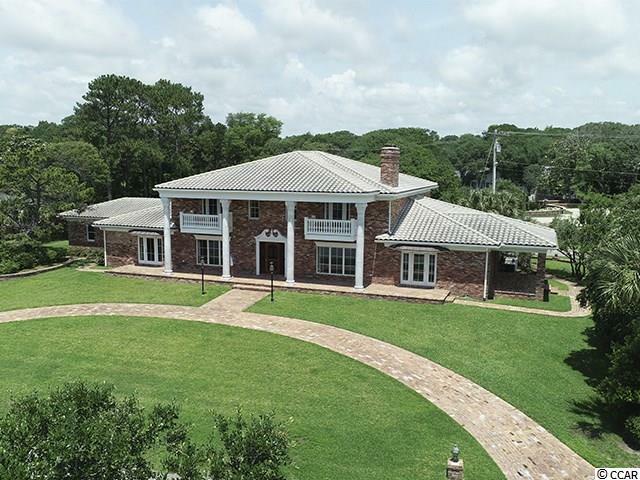 Magnificent all brick, two story home located on 2nd row North Ocean Boulevard in The Dunes Club with beautiful ocean views!! Lot is 0.84 acre and sits 20 feet above sea level. Beautiful marble columns, hard wood floors, Lutron lighting system, 3 fireplaces, elevator, invisible yard fence, jetted tubs and towel warmers in bathrooms, large closets in upstairs bedrooms with pullout drawers, front balconies upstairs and beautiful front, side & rear porches! Listing agent is related to seller.